Includes: Main meals & entertainment onboard, port charges & government fees. 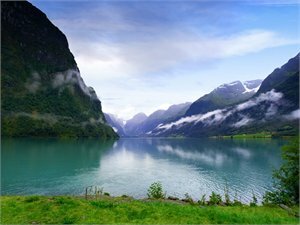 Cruise roundtrip from London (Southampton) to Stavanger, Flam, Hellesylt (scenic cruising), Geiranger, Trondheim, Honningsvag, Tromso, Gravdal, Alesund & Bergen. Includes: Main meals & entertainment onboard, port charges, government fees & gratuities. Cruise from Rome (Civitavecchia) to Naples, Sicily (Catania), Kotor, Dubrovnik, Zadar, Rijeka, Koper, ending in Venice. 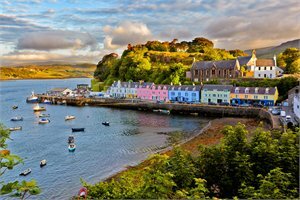 Cruise roundtrip from London (Southampton) to Newcastle, Edinburgh (Newhaven), Inverness (Invergordon), Isle of Skye (scenic cruising), Glasgow (Greenock), Belfast, Liverpool & Guernsey (St. Peter Port). 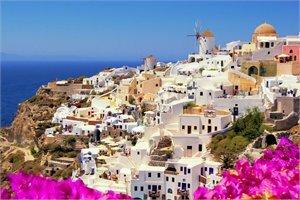 Cruise roundtrip from Rome (Civitavecchia) to Santorini, Athens (Piraeus), Mykonos, Rhodes, Crete (Chania), Valletta, Sicily (Messina), Naples & Florence/Pisa (Livorno). Cruise roundtrip from Amsterdam to Eidfjord, Bergen, Alesund, Trondheim, Honningsvag, Hellesylt, Flam & Haugesund. 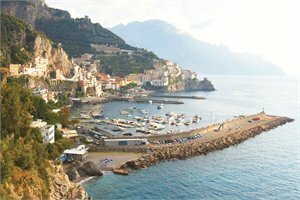 Cruise from Rome (Civitavecchia) to Kotor, Corfu, Valletta, Sicily (Messina), Naples, Rome (Civitavecchia), Florence/Pisa (Livorno), Genoa, Toulon, Gibraltar, ending in Barcelona. Includes: Meals & entertainment onboard, all onboard beverages including selected beer, wine & spirits, 1 AzAmazing Evening event in a selected port & port charges, government fees & gratuities. 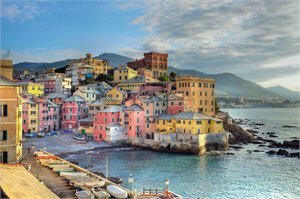 Cruise from Barcelona to St. Tropez, Monte Carlo, Florence/Pisa (Livorno), Rome (Civitavecchia), Sorrento, Amalfi, Kotor, Dubrovnik, Sibenik, ending in Venice (overnight). Includes: Beverages in-suite & throughout the ship, open-seating dining, butler service for all suites, gratuities, unlimited WiFi, transportation into town available from most ports. 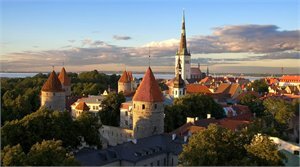 Cruise from Copenhagen to St. Petersburg (2 nights), Tallinn, Helsinki, ending in Stockholm. PACKAGE TERMS & CONDITIONS: Valid for sales to 30 Apr 2019. Valid for travel commenced and completed within the period 15 Jun 2019 to 3 Aug 2020 (unless otherwise specified). *Conditions apply. Prices are based on twin share. Daily gratuities are not included (unless otherwise specified) and must be paid onboard at the conclusion of your cruise before disembarkation. Deposit, amendment & cancellation conditions apply. Offers/prices are subject to availability at time of booking. ONBOARD CREDITS: are per stateroom (applied to the first 2 passengers only) & may vary for solo travellers, in currencies & amounts specified & are non-refundable, non-transferable, & cannot be redeemed for cash, used in the medical centre or casino & will expire if not used by 10pm on the last night of cruise. AZAMARA CLUB CRUISES: Sale ends 31 Mar 2019, unless sold out prior. Prices are based on first person, twin share. Based on an Inside stateroom Cat. 09. Receive a discount of up to 50% off the cruise fare of the second guest booked in the same stateroom as first guest who books the full fare. A limited number of staterooms have been set aside under this offer & once sold the promo may no longer be available. CELEBRITY: Sale ends 03 Apr 2019, unless sold out prior. SAVINGS have been included in prices shown. CLASSIC BEVERAGE PACKAGE is valued at US$55pp per day & includes beer up to US$6 per serving, spirits, cocktails & frozen drinks up to US$8 per serving, wine by the glass up to US$9 per serving, all soda selections, fresh & bottled juices, premium coffees & teas, bottled water, & server gratuities (amount based on gratuity guidelines). CUNARD: Sale ends 31 Mar 2019, unless sold out prior. REDUCED DEPOSIT: Pay $300 per person when you book, and pay the rest on final payment of the booking. COMPLIMENTARY GRATUITIES: is based on pre-payment by Cunard of suggested gratuities in the amount of USD11.50pp per day when booking Britannia staterooms. Complimentary Gratuities offer is not available for third/fourth berth guests. PRINCESS CRUISES: Sale ends 30 Apr 2019, unless sold out prior. Western Mediterranean Medley is based on an Obstructed Balcony stateroom. HOLLAND AMERICA: Sale ends 30 Apr 2019, unless sold out prior. SILVERSEA: Sale ends 31 Mar 2018, unless sold out prior or using the air offer. AIR OFFER: Includes a return Emirates Economy Class airfare OR fly business class for just $5355 return, from Auckland or Christchurch to embark/debark cities. Any other cities will be considered a deviation & surcharges apply. Air offer is only available to the first & second full-fare guests in a suite. Due to flight schedules, some voyages may require an overnight hotel stay pre or post cruise at the guests own expense. Subject to availability. In case promotional flights are not available, an air credit of $2100 will be offered. Transfers are included when taking the free airfare offer & are available from the airport to ship. NORWEGIAN CRUISE LINE: Sale ends 31 Mar 2019, unless sold out prior. Main meals are included at selected restaurants only. Guest may choose one offer for Inside staterooms. FREE BEVERAGE PACKAGE includes a selection of soft drinks, beers, spirits, cocktails & wines by the glass up to & including US$15 during your cruise. SHORE EXCURSION CREDIT of US$50 per port is per stateroom, Credit has no monetary value & is non-refundable. In the event of port of call or excursions is missed, for any reason, no refund or credit will be issued. Shore excursion credit is applicable for each port, including debarkation port & is not transferable to other ports. Use the credit or lose it. Does not include embarkation ports. Overnight stays count as one port. INTERNET PACKAGE: Receive 250 minutes per stateroom, including activation fee. Internet will be applied to the 1st guest in a stateroom. One login per stateroom. GENERAL: All prices & offers are correct at time of publication (07 Mar 2019) & are subject to change or may be withdrawn without prior notice. Further conditions apply, check at time of booking. Prices shown are based on per person costs in New Zealand Dollars, for payment by cash, cheque or eftpos only. Credit card sales not permitted unless Travel Agent acts as a merchant. For full terms and conditions and cancellation fees please contact your local travel agent for more information. Trade enquiries via GO Holidays. Prices are based on lead-in stateroom categories, surcharges apply for other categories. Prices are subject to change at any time without notice.